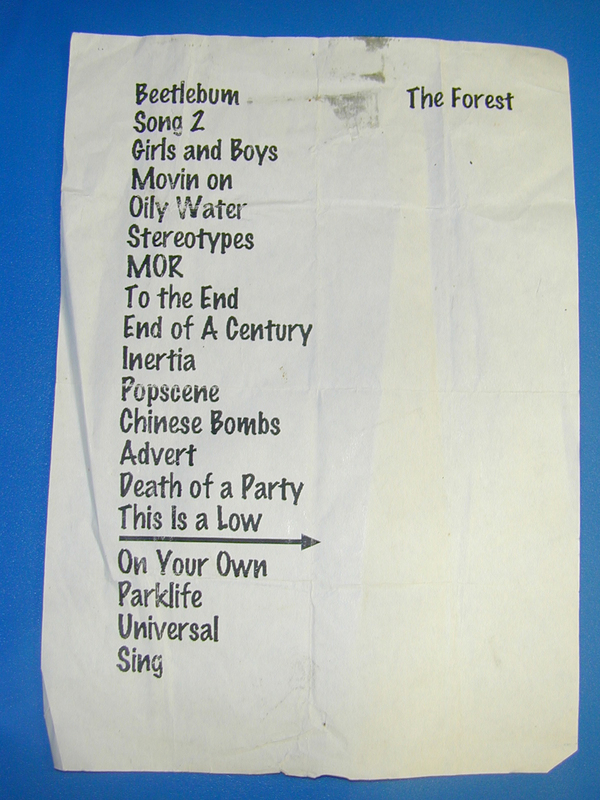 We are currently sat at Maida Vale buzzng for Blur who are about to perform their very first live session for BBC 6 Music before another set for Radio 2 - but in anticipation we thought we'd send you back to January 26, 1997 and Nottingham in particular. This is what their track list for the evening looked like - so to get you all nicely warmed up we thought we'd put it all together in Spotify for you to listen to ahead of this evening's proceedings. It's been three years since we last heard from Natasha Khan, but this week the lady better known as Bat for Lashes burst back with a brand new track and some eyebrow-raising album artwork which has got everyone talking. Laura has been everywhere since it was uploaded on Monday, from Pretty Much Amazing to Stereogum, over 100,000 listens on Soundcloud and close to a quarter of a million people having viewed the rather NSFW video. If the excitement carries on, it looks like her new album The Haunted Man - due out in October - could catapult her to superstar status. At 6 Music we've been championing Natasha from the start, so what better thing to do this week than ask you to pick the ultimate Bat for Lashes Playlist? As usual you can plead your case by leaving a comment on this blog or on Facebook, Tweet us using #Lashes6Music, e-mail us or drag a track into our collaborative Spotify playlist. After the sad news of Jon Lord’s passing earlier in the week, a celebration of the pioneering musician and his band Deep Purple seemed like the logical thing to base the playlist on this week. Tom was off sunning himself so Jon Hillcock stood in and also ran down some of the tracks which have made a huge impact online over the previous seven days, and also invited blogger Joe Sparrow from A New Band a Day onto the show to share with us some of the music he’s been listening to recently. This week rock music lost one of its true greats after Jon Lord - former keyboard player with Deep Purple - passed away at the age of 71. Best known for his pioneering hammond organ playing and fusing prog rock with flourishes of classical music, Lord’s contribution to rock was immense. Lauren Laverne has already celebrated his organ playing in her People’s Playlist this week, but we thought what better opportunity for you to show us just why Deep Purple are one of the all time greatest rock bands? Between 7-8pm this Sunday. we want you to curate the Ultimate Deep Purple Playlist. It can touch on many aspects of the band and their 45 year career, from members past and present to current bands influenced by their sound, not to mention other classic rock acts. * Your favourite Deep Purple tracks, from Smoke on the Water which Lord co-wrote, to Highway Star, Hush or perhaps b-sides and rarities. *Artists who’ve collaborated with Deep Purple members past and present such as Joe Satriani, Ronnie Wood and George Harrison. *Artists who’ve covered Deep Purple such as Whitesnake, Metallica or even Kula Shaker (well, maybe...). * Some of their contemporary like Black Sabbath and Led Zeppelin through to those they inspired including Iron Maiden, Def Leppard and Judas Priest. As always you can get in touch right here on the blog and on our Facebook page. We’ve created a collaborative Spotify playlist for the show, you can e-mail us and you can Tweet us using #DeepPurple6Music. Once again on Now Playing we are putting control of the show into the hands of some musicians to see if they’re musical selections are as good as the music they make – and this Sunday it’ll be the turn of Field Music. The Brewis brothers from Sunderland first came into our lives in 2005 with Shorter Shorter and quickly followed it up with their debut self-titled album. Four long players later and body of solo work as School of Language and The Week that Was, as well as strong connections with fellow North East bands Maximo Park and The Futureheads you’ve got an absolute treasure trove of tracks to suggest to David and Peter. The band told us "It's so nice to have the opportunity to take over 6 Music and indoctrinate the masses with some old-fashioned round-the-turntable record-swapping. Pretty excited to hear what people throw our way." • Who do you think inspired the pair - Fleetwood Mac, XTC, Serge Gainsbourg, Thelonious Monk or Kate Bush maybe? 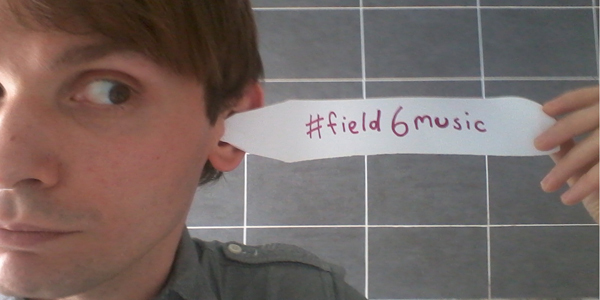 To let them and us know what you want to hear on the radio Tweet @FieldMusicMusic and @BBC6Music using #Field6Music (that’s probably our favourite hashtag of Now Playing so far), leave a comment on our Facebook page or this blog, e-mail us and you can also add a track to our collaborative Spotify Playlist. This July at 6 Music we’re dedicating a month of shows to celebrate 50 years of the world’s definitive rock 'n' roll bands; The Rolling Stones. A young Mick and Keith became friends in Dartford at the turn of the ‘60s, and bonded over their growing infatuation with the blues. Two of their first three singles were covers while the other was written by Lennon and McCartney - the story famously going that Mick and Keith were locked in a kitchen by their manager, Andrew ‘Loog’ Oldham until they wrote a song themselves. Now collectively nick-named as the ‘Glimmer Twins’, they are considered one of the greatest song writing partnerships of all time selling 200 million albums over five decades, with a couple of line-up adjustments and a fair few tour anecdotes which they are about to add to with another world tour next year – which might, just might, take in a certain festival on Worthy Farm in June. So, turn on that hip swagger and tune your air guitar to open D for we want you to help us make The Ultimate Rolling Stones Playlist - but the question is: where in the name of her satanic majesty do we start? Get in touch in all the usual ways – comment on this blog or our Facebook page, drag a track into our collaborative Stones playlist on Spotify, send us e-mail or Tweet us using #RollingStones50 and remember to tune into the show from 6pm on Sunday.